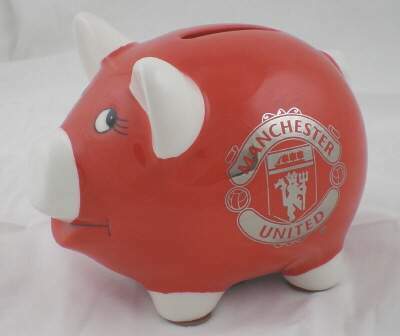 Having already spent over £50 million so far this summer, United fans have enjoyed one of the busiest off-seasons for a good few years but the movement in and out of Old Trafford is far from over as of yet. The gaps left behind by Edwin Van Der Sar and Gary Neville were filled, to an extent, by the signings of David De Gea and Phil Jones but we will still need to be strong in the market if we are to leave ourselves with a complete squad ahead of the next campaign. Although Ashley Young is a great signing (much better than the laughable £18 million bid for Downing that has been apparently bid by Arsenal this morning), we still need to strengthen up the gaps in our thin midfield to stop the risk of being run of the park in the middle like we did in so many away games last season and the retirement of Paul Scholes only deepened the problems we had in the creative department. However, if SAF does choose to let Gibson go then the necessity to make some midfield signings will become ever more apparent. With Darren Fletcher missing the pre-season tour because of illness, it leaves us with only Anderson and Carrick as our only 2 established, fit central midfield players. At a stretch you could include the versatile new signing of Jones, who can play a holding midfield role if it was asked of him and add Giggs and Park into the equation, as it is likely that they will play more central next season after the purchase of Young but to say that we are thin in the middle is an understatement. Real, solid movement needs to be made if United are going to compete next season; our defence is looking as strong as it ever was as I have full faith in the ability of De Gea and our attack is probably stronger than it was at the end of last season, what with the continued growth of Javier Hernandez and the purchase of Ashley Young. If we can fix up the midfield and dominate the middle of the park like we have done in previous campaigns, then I am fully confident that we can secure number 20 next season. I do think, however, that as United fans we will be left on tenterhooks for the big midfield signing as we will soon be jetting off for our pre-season tour that starts in just 3 days and if we do make another major move in the summer window, I feel that it will be a drama on the scale of Berbatov in 2008. Get your popcorn out!